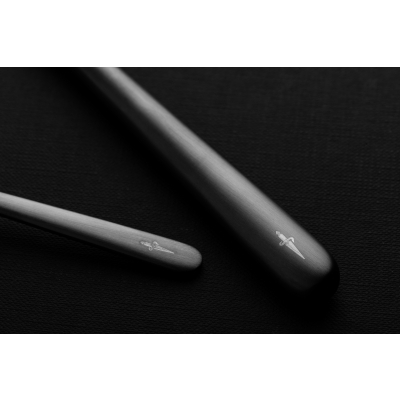 Mepra Epoque Flatware will add an air of sophistication to your cutlery ware. 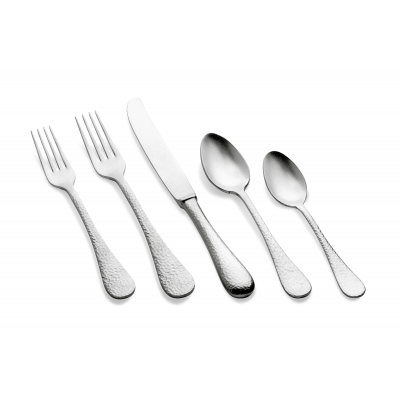 This cutlery is made of 18/10 stainless steel, which ensures that it is durable. 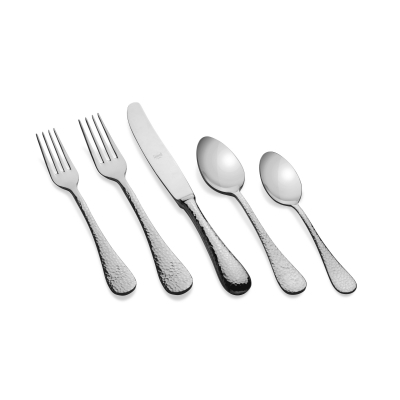 The Hammered Pattern is a reproduction of a hand-made fork hammered by an artisan from the mountains in northern Italy. 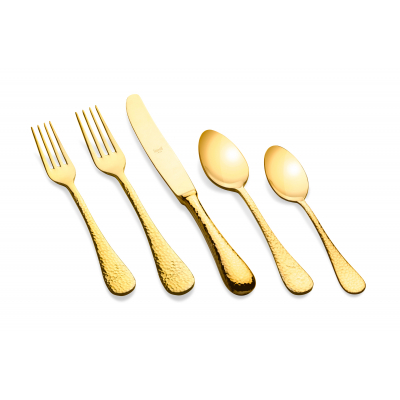 This Epoque Flatware has an ergonomic handle that is very comfortable to hold. Of course our cutlery is completely dishwasher-safe. 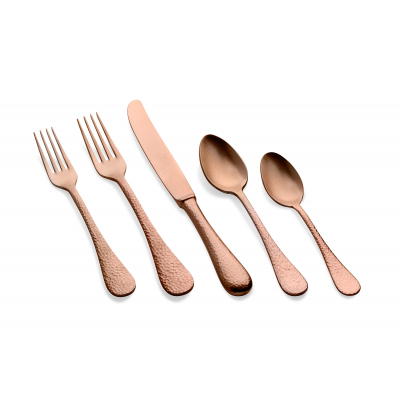 This cutlery is resistant to rust, corrosion, fading, tarnishing, and chipping. Epoque combines classic and aristocratic design with innovative textures. 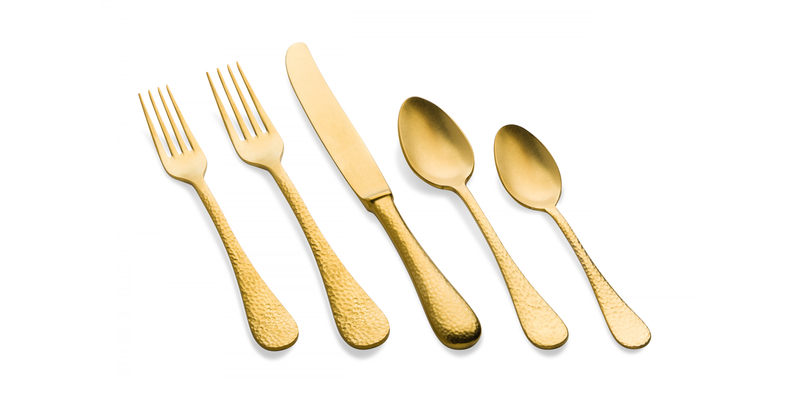 Epoque flatware is available in Oro (Gold), Oro Nero (Black Gold), Bronzo (Bronze), Champagne (Silver), Arcobaleno (Rainbow) and Stainless Steel. 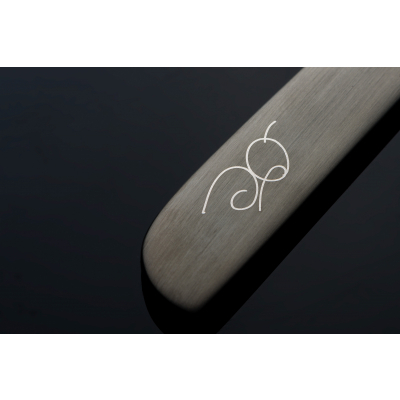 And it is available in 3 different finishings: a polished, brushed or pewter version. A multitude of possibilities to find the best option to give your presentations.